You ARE a blessing! Never EVER forget that!! I’m a week late in honoring Mr. Roger’s birthday—he would have been 91 on the 20th of March. He is best known for his gentle ways and his homespun wisdom. Sometimes now, and especially when he was alive, he is/was ridiculed for this. My thought is that some people make fun of his loving goodwill not because they think it’s stupid but rather because they’re desperate for that gracious acceptance and are terrified that it’s a sham, like so much else in this world. I assure you that loving kindness is alive and well in this world. There are many people who are welcoming, friendly, and reaching out a hand to others. They are right in your community. In fact, you may be sitting next to them in school or at work. 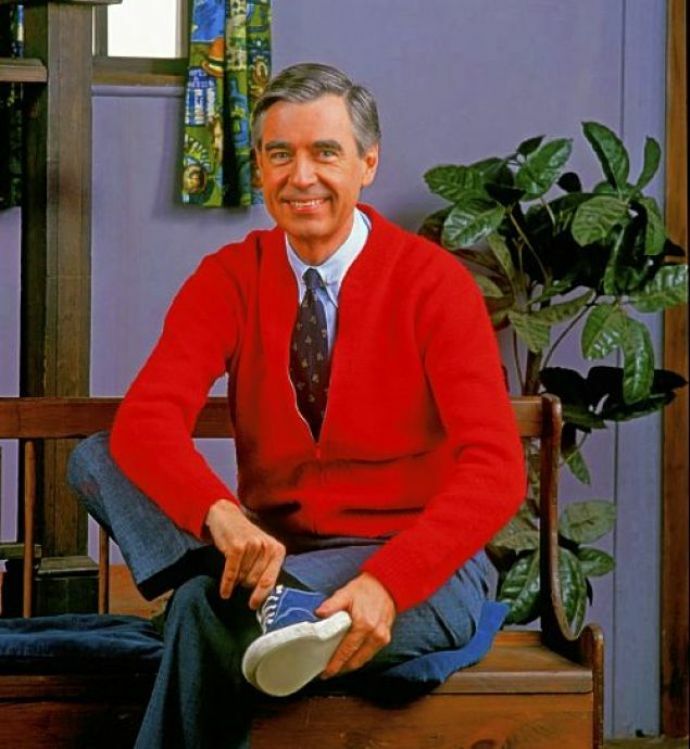 Like Mr. Rogers, they, too, like you just the way you are. You can be yourself, and that’s enough! I like you just the way you are! Just for today, what if there is nothing wrong with you? I challenge you this week, as I’m challenging myself, to live each day into the possibility that there is nothing wrong with you. You are just right, exactly as you are. What will you do that you haven’t allowed yourself to do because you thought there was something wrong with you? Now that you are just right exactly as you are, you can pursue that thing! May the luck and the blessings of the Irish be with you this whole week through. Earl Nightingale was one of the first motivational speakers that I listened to regularly. I took a number of his recordings out of the library and listened to him repeatedly. I found his messages—and his gravely voice—to be very comforting. He instilled in me a sense of hope, which was something I really needed at that time. Because of this, he has a special place in my life. ~Don’t let the fear of the time it will take to accomplish something stand in the way of your doing it. The time will pass anyway; we might just as well put that passing time to the best possible use. ~You’ll find boredom where there is the absence of a good idea. ~ A great attitude does much more than turn on the lights in our worlds; it seems to magically connect us to all sorts of serendipitous opportunities that were somehow absent before the change. ~Work never killed anyone. It’s worry that does the damage. And the worry would disappear if we’d just settle down and do the work. ~The more intensely we feel about an idea or a goal, the more assuredly the idea, buried deep in our subconscious, will direct us along the path to its fulfillment. ~We can let circumstances rule us, or we can take charge and rule our lives from within. ~We all walk in the dark and each of us must learn to turn on his or her own light. ~Don’t concern yourself with the money. Be of service … build … work … dream … create! Do this and you’ll find there is no limit to the prosperity and abundance that will come to you. ~You are, at this moment, standing right in the middle of your own acres of diamonds. I hope these quotes can help you as they have helped me over the years.